How Accurate are Zillow Pricing Estimates? Zillow is the most popular online real estate information site in the country with over 72 million unique visitors in December 2014 alone. Besides displaying properties for sale, it also provides a database of information for properties that are not currently on the market. By simply entering an address you can pull up key information including lot size, square footage, number of bedrooms and baths. It also provides a Zestimate. Zestimates are Zillow's automated property value estimates. Zestimates have become a major issue for both buyers and sellers. Consumers routinely quote Zestimates to real estate agents when it comes time to buy or sell. If a house for sale has a Zestimate of $300,000, a buyer might take issue with a sellers' list price of $400,000. The other scenario that comes up quite often is when a seller asks a listing broker why they they should market their home for $550,000 when the Zestimate states a value of $665,000. These gaps in real value versus Zillow's Zestimates are becoming common place. Consumers more and more are taking Zestimates as gospel and if someone won't budge of their perceived value (Zestimate) it often can stop a deal in it's tracks. The big question remains, how accurate are Zestimates. Zillow estimates that nationally Zestimates have a "median error rate" of about 8%. On a $500,000 house that is $40,000 disparity. The biggest issue with Zestimates is that in localized markets the median error rate can be far higher. For example in Manhattan the error rate is 20%, in rural counties in California the error rate is a s high as 26%. In the Lakes Region of New hampshire I have personally witnessed some homes being off by as much as 30%. 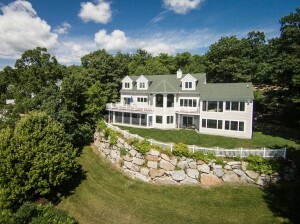 On a lakefront home with a value of $1,000,000 that equates to a difference of $300,000. But Zestimates aren't always on the low end of the value range. In carlsbad California, Zestimates came in below the selling price 70% of the time according to Solutions Real Estate. So what is the public to do with their own Zestimate? Treat them as a starting point when discussing pricing. When it comes time to find the actual real value rely on the real estate professionals in your home market or get an experienced appraiser. To see homes available on Lake Winnipesaukee please click here. Work with Ruth Neidhardt? I don't think so. She's a bitter thorn in the side of the entire real estate community around the lakes. 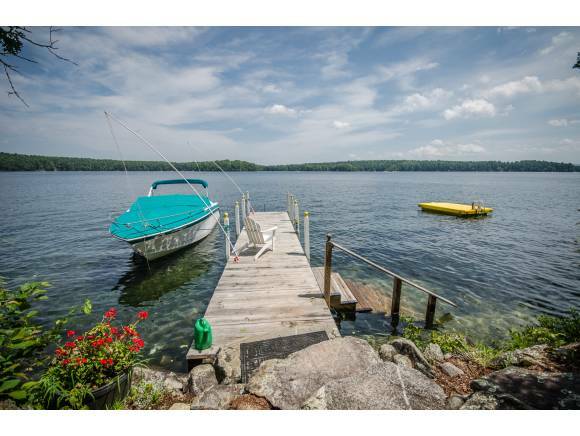 For those who have been searching for a home with true quality, southwest exposure and a large sugar sand beach on Lake Winnipesaukee, then look no further. This reproduction Sturbridge inspired Cape combines old world charm with modern conveniences. Built in 2006 on a private 1.3 acres, the home was sited to blend into the landscape but still enjoy the 152 feet of waterfront. The interior of the home features 3 levels of living easily accessed by an elevator. The main floor is highlighted by a chef's kitchen with custom Crown Point cabinetry, gas cook top, double wall ovens and Vermont soapstone counters. You also have a first floor master suite with a jetted tub and walk in shower. A brick fireplace and bee hive oven are the centerpiece of the main living room. From the dining room room you have French doors that open to a large three season porch with picturesque views of Winnipesaukee and majestic sunsets. Wide plank floors, wrought iron fixtures, vintage lighting add to the authenticity of the design. The home also features radiant heat, whole house audio, home entertainment room and bar. Please contact Ruth Neidhardt at 603-455-0176 or Brian Neidhardt at Four Seasons Sotheby's International Realty to schedule a private showing. 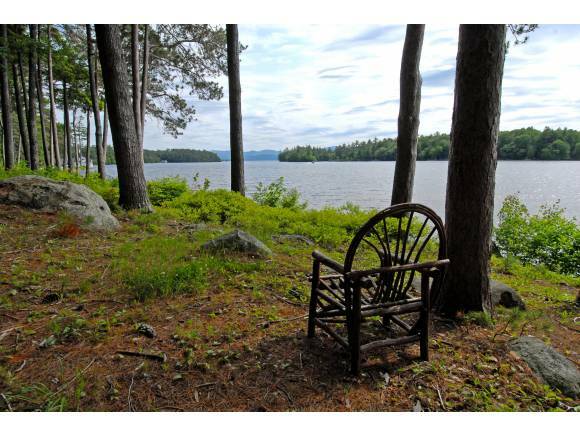 To see additional Lake Winnipesaukee homes for sale click here . 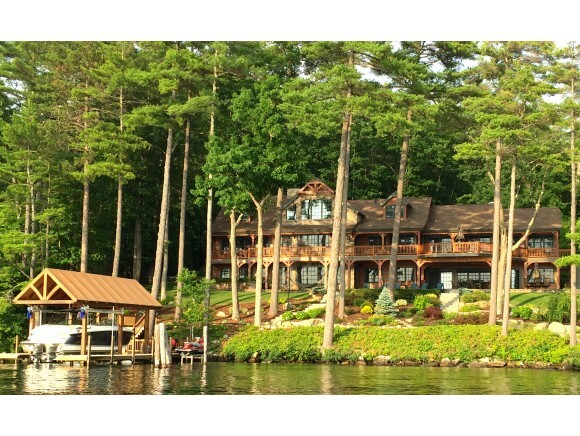 2014 has been another busy year for real estate on Lake Winnipesaukee. 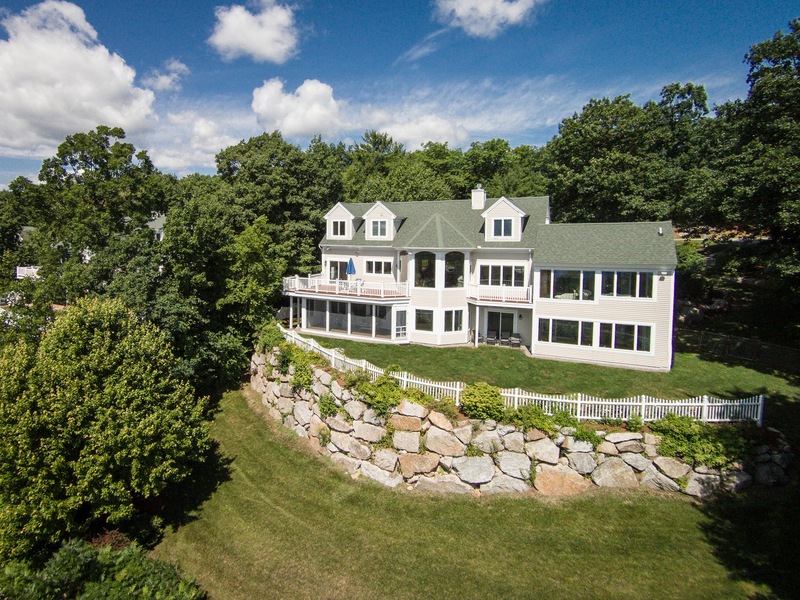 Each town on the lake has seen values remain strong with the highest sale ever on the Lake happening in Wolfeboro at 144 Springfield Point Road. This was the home that was previously rented by President Sarkozy of France. Below is a brief description of the top 5 sales to date this year. 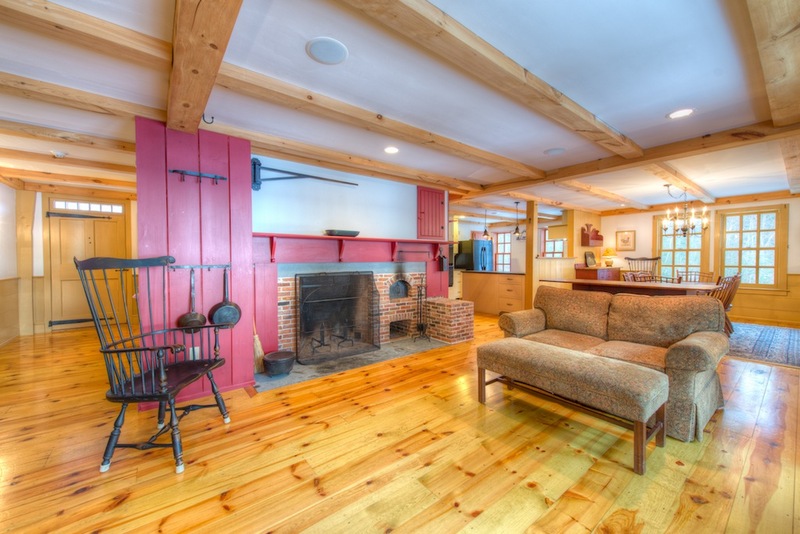 The 5th highest sale of the year was at 50 Iroquois Lane in Moultonborough. Closed price was $2,495,000. This home was 8,077 square feet with 7 bedrooms and 9 baths on 2+ acres. 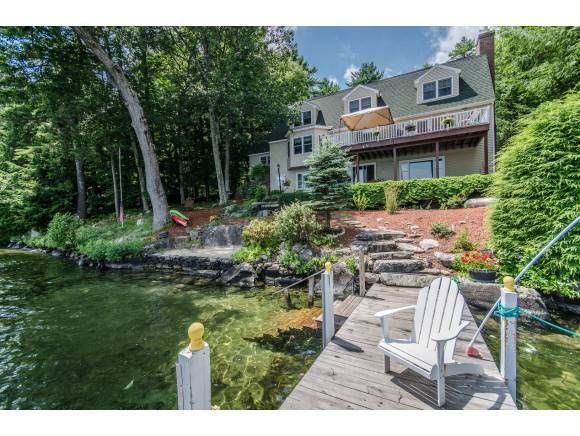 Built in 2001 in the Iroquois Lane development which has only six very high end homes on large waterfront lots on Lake Winnipesaukee. 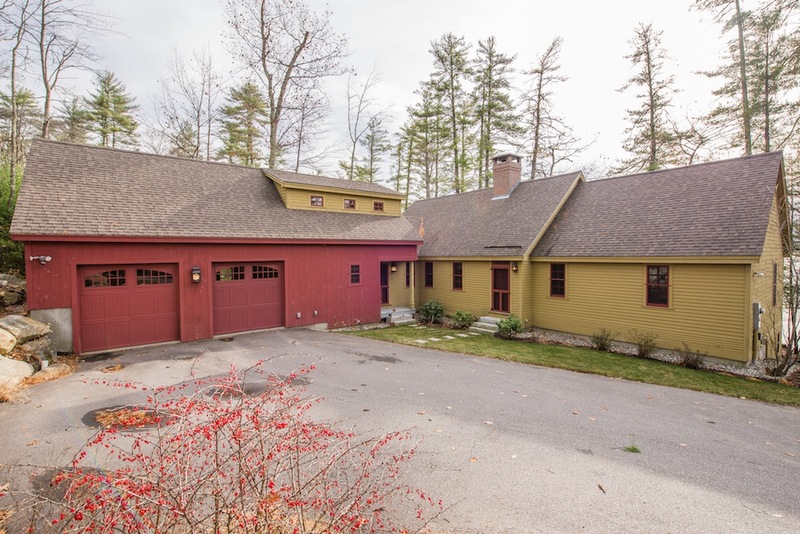 The 4th highest sale of the year was at 55 Banfield Road in Tuftonboro. Closed price was $2,800,000. This beautiful home was a true original 1910 vintage lake house that had been restored and updated very tastefully and has 3638 square feet of living space with 5 bedrooms and 3 baths. The home was on the market for only 11 days and was sold fully furnished. The 3rd highest sale of the year was 64 Wagon Wheel Trail in Meredith. Closed price was $3,150,000. 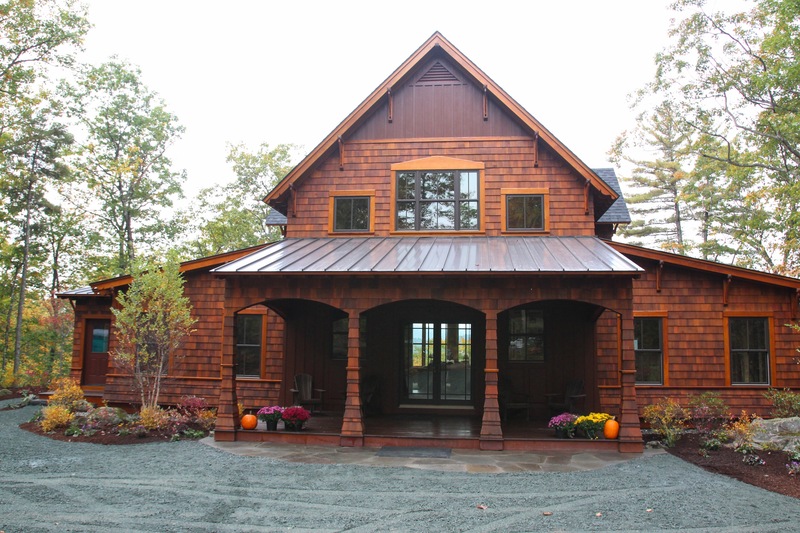 This Adirondack inspired home had been on and off the market and had been gone through numerous price reductions. Originally the home was on the market for $3,995,000. The home has 7613 square feet of living space with 6 bedrooms and 7 baths. Built in 2008 by Jason Drouin on Meredith Bay for an end user. The home is located only 5 minutes from downtown Meredith. 64 Wagon Wheel Trail Meredith closed for $3,150,000. The 2nd highest sale of the year was 8 Foxwood Way in Tuftonboro. Closed price was $3,700,000. 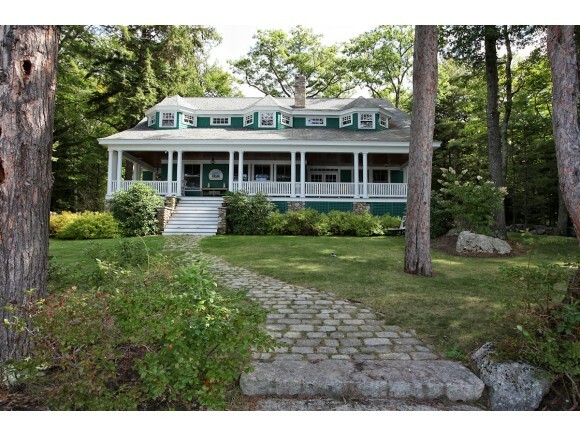 This Winnipesaukee estate parcel had a original 1935 house, boat house and guest cottage on 98 acres with 822 feet of pristine waterfront. More than likely the land will be developed into smaller lots or will be home to a new construction estate with great privacy. 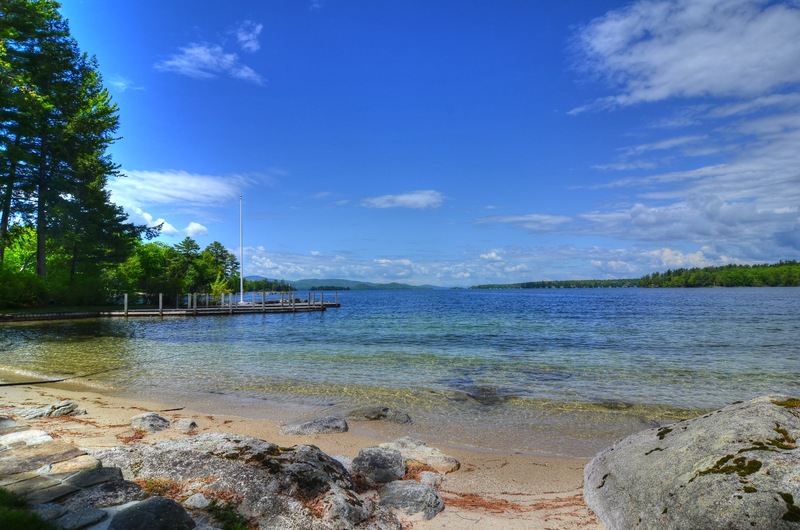 Very few large parcels of this size come on the market these days on Winnipesaukee. 8 Foxwood Way Tuftonboro closed for $3,700,000. 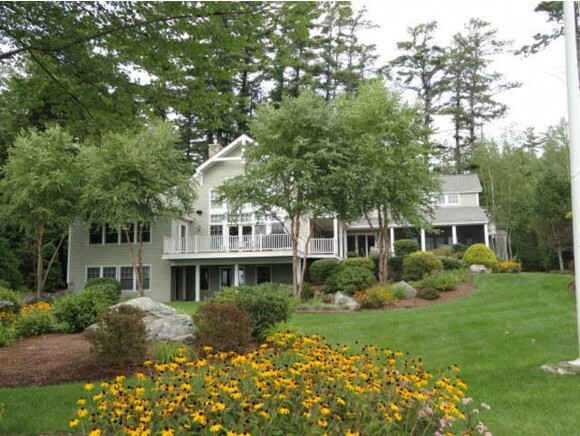 The highest sale of the year was 144 Springfield Point in Wolfeboro. Closed price was $8,975,000. Lakeside Manor was a true Arts and Crafts masterpiece with amazing attention to detail. The home had been featured in numerous magazines and television shows. It had been certified by the secret service for French President Sarkozy who rented it during the summer of 2007. Feature included a 3 bay boathouse, wine cellar, 15 seat theater, sandy beach, top notch security and whole house audio system. You have over 17,300 square feet of space with 8 bedrooms and 11 baths on over 7 very private acres. 144 Springfield Point Road in Wolfeboro closed for $8,975,000. To see current listings on Lake Winnipesaukee click here. To contact Ruth Neidhardt directly call 603-455-0176 or Brian Neidhardt at 603-738-3798. Four Seasons Sotheby's is located in Meredith NH. 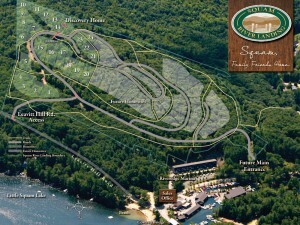 Squam River Landing is a planned community in Ashland New Hampshire overlooking Squam Lake and the White Mountains. It has been designed to encourage sustainable and economic development in the Squam Lake watershed. Home sites will preserve the beauty of the region while minimally impacting the watershed. Some lots have great privacy and are surrounded by wooded conservation land parcels that are hundreds of acres in size. Numerous lots have beautiful lake and/or mountain views. The community as a whole makes recreation a high priority with access to snowmobile and hiking trails throughout the development. 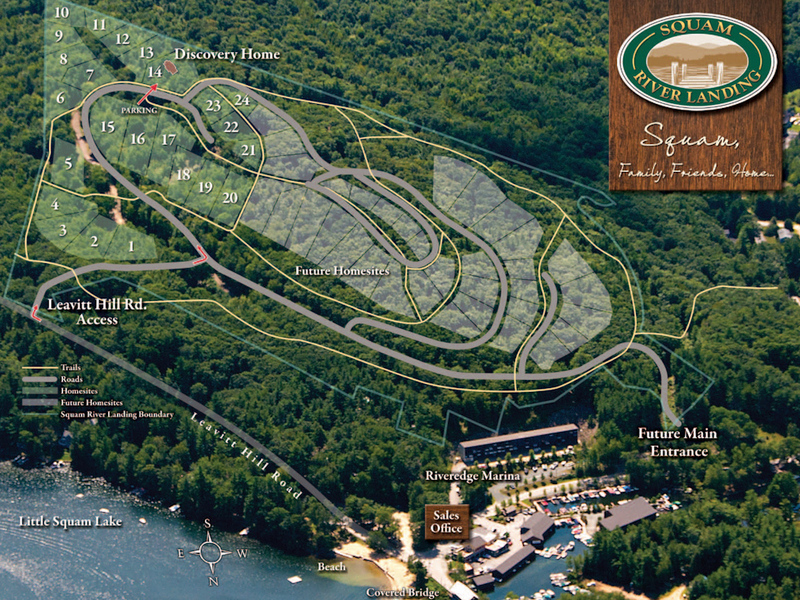 You also have access to Squam Lake through Riveredge Marina. The marina offers covered and uncovered slips, boathouses, day docking, and a valet service with dry berths to accommodate all types of boats. 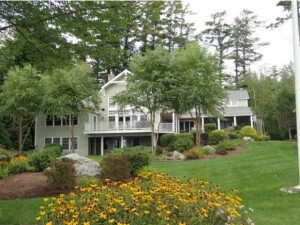 Riveredge also offers a community center and roof top deck and adjacent to that is a town Beach on Little Squam Lake. Homes blend well into the landscape with a variety of designs and floor plans reminiscent of Adirondack lodges and cottages. Home designs and construction methods are Energy Star compliant and LEED and NAHB Green eligible. Construction methods employed are energy efficient, conserve water use, conserve local resources and control site development. The current model home is available for tours to see the level of craftsmanship and finishes available. 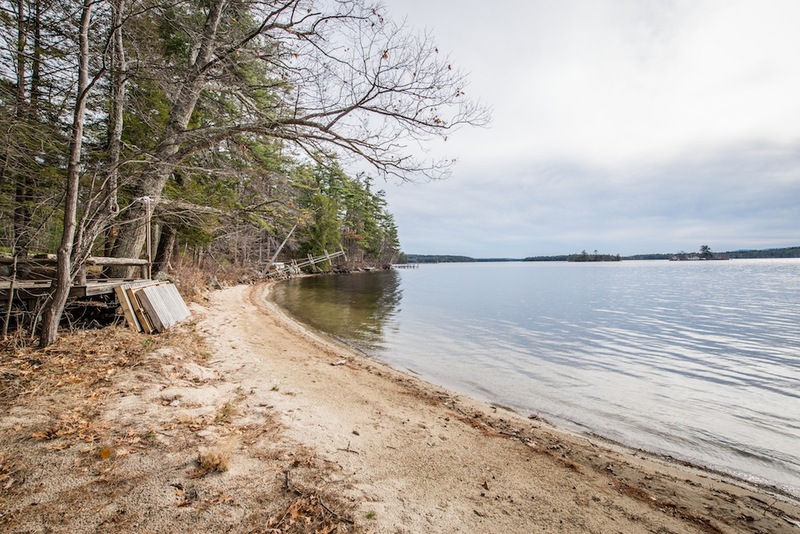 Whether you are looking for a year round residence or vacation get away, Lakeview Homes at Squam River Landing offers the ideal environment for family life. Rarely does a development combine the attributes of the region so seamlessly with modern day construction and exquisite house design. Development is listed by Paula Hinckley and Carl Sack of Four Seasons Sotheby's International Realty. 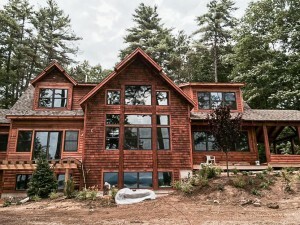 One of the finest locations on Lake Winnipesaukee is getting closer to completion. 25 Cooks Point Road is located in the much sought after Kona region of Moultonboro on what many have called the "Gold Coast." This particular location features long panoramic views and sandy shorefront. The house is being constructed by Scott Fuller Development one of the premier builders in the Lakes Region. 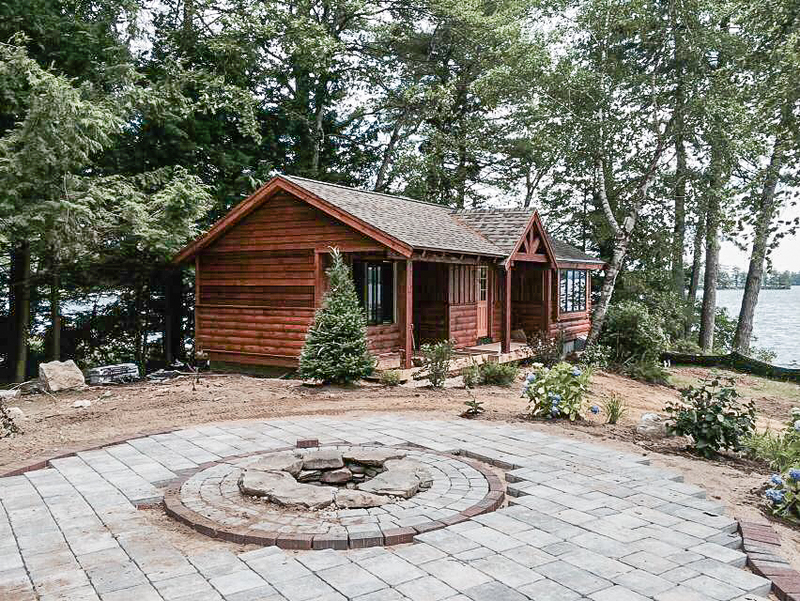 The Adirondack inspired lodge features 4,400 square feet of living space, 200 feet of sandy walk-in waterfront and 1.27 acres of land. It includes 4 bedrooms and 6 baths along with a custom gourmet kitchen, hardwood flooring, stone fireplaces, screen porch and great attention to detail. 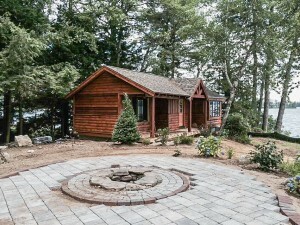 Another highlight of the property is that you also have a small lakeside cabin on the lot which can be a game room, entertaining space or used for overflow guests. Moultonboro is well known to have the lowest taxes in the state of New Hampshire, which when you are buying a waterfront on Lake Winnipesaukee can be a huge savings in terms of real estate taxes. Property is being offered for $2,895,000. Listed by JoAnn Fuller. 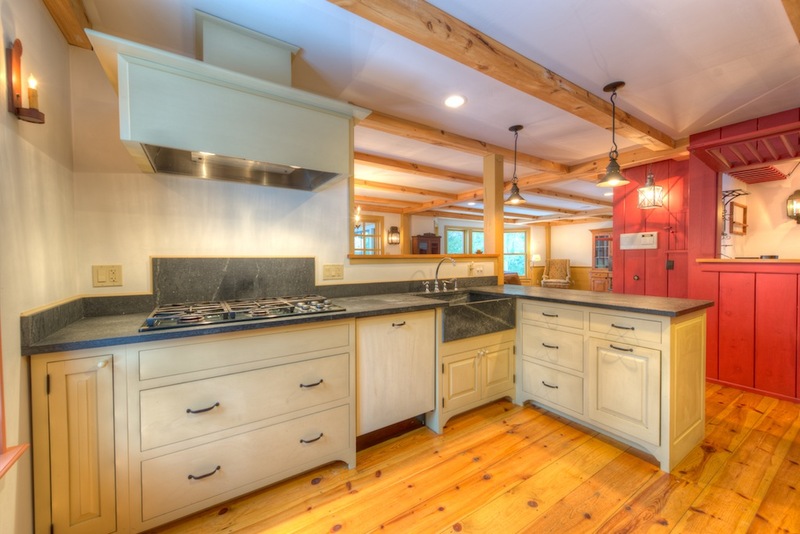 If you would like additional details on the home including a spec list of finishes please contact Brian Neidhardt at 603-738-3798 or e-mail to brian.neidhardt@gmail.com. To see additional Lake Winnipesaukee properties please click here. 63 Hawk Ridge Road at the Grouse Point Club is one of those rare properties that comes on the market that combines an extraordinary location with great attention to detail. Located on the "Ridge" at Grouse Point this home has over 4600 square feet with 4 bedrooms and 5 baths with the ever important first floor master suite. The master wing has large custom bath with a glass enclosed steam shower, jetted tub and professionally built cabinetry. The open concept design utilizes the amazing views to allow for natural light to fill the living spaces and provide lake views to almost every room in the house. 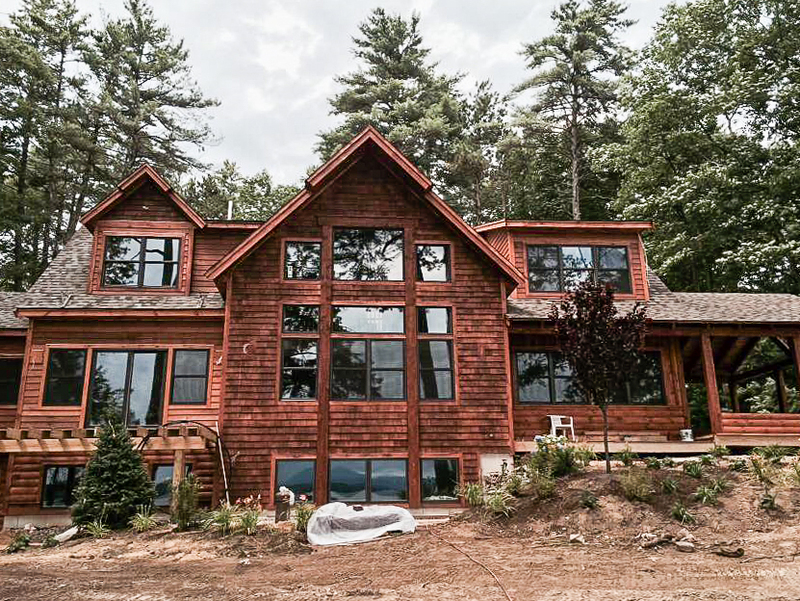 The living room has palladium windows that bring the outside in with views of not only Lake Winnipesaukee but also the Belknap and Ossipee Mountains. The deck and screen porch allow for outside entertaining but while still enjoying the long views. The property also has a large dock available for purchase. You can easily boat to downtown Meredith in under 10 minutes or Wolfeboro in 45 minutes. 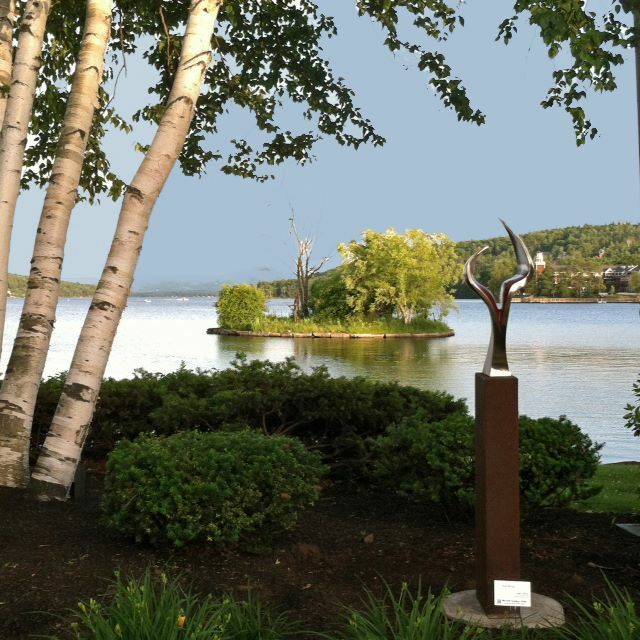 The Grouse Point Club offers some of the finest amenities of any gated community in the Lakes Region. The GPC clubhouse has an indoor heated pool, large fitness room, function room with commercial grade catering kitchen and extensive outside decks for lounging or events. The waterfront features 3 sugar sand beaches, yacht club with deeded dock and mooring field and bath houses. GPC also offers lighted tennis courts, basketball and a children's playground. Downtown Meredith is only 5 minutes away for some of the finest restaurants on Lake Winnipesaukee along with local shopping. 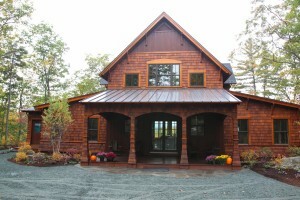 63 Hawk Ridge Road is being offered for $1,197,000. Property is listed by Brian and Ruth Neidhardt. For additional details please call Brian at 603-738-3798 or Ruth at 603-455-0176. If you would like to see this home please call Brian Neidhardt of Four Seasons Sotheby's International Realty at 603-738-3798 or Ruth Neidhardt at 603-455-0176. 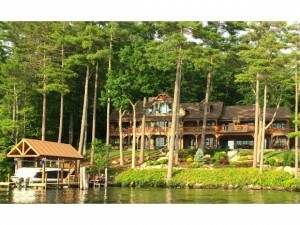 To see additional Lake Winnipesaukee real estate for sale click here. When it comes to location few properties on Lake Winnipesaukee can equal the panoramic views from Springfield Point in Wolfeboro New Hampshire. 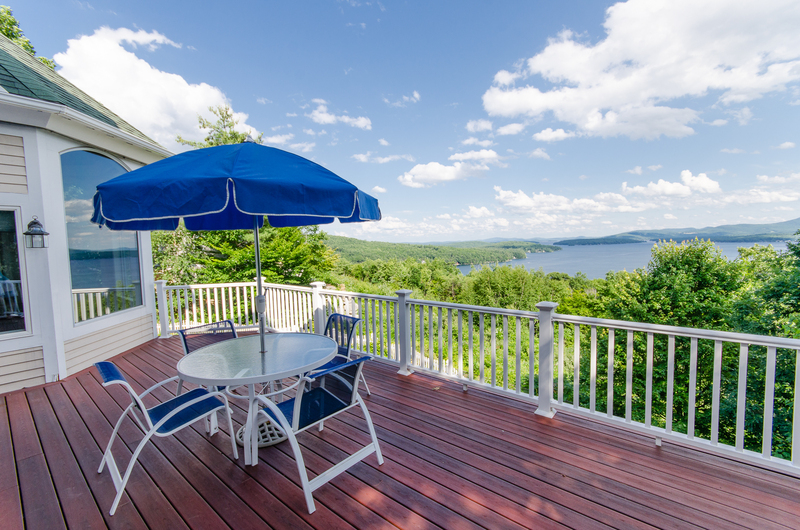 This particular home hasn't been on the market since 1973 but has some of the finest views of any home on the Winnipesaukee market today. When you combine the extraordinary location with 180 feet of waterfront including a sugar sand beach, u-shaped dock and western exposure, it doesn't get much better than this. The home was originally constructed in 1958 but has been enlarged and upgraded throughout the years. Featuring five bedrooms and over 3000 square feet the home can be enjoyed right away as is or it can serve as a great location for building your dream home. A location such as this can support a large scale remodel or entirely new construction. Although the property has great privacy, you are still only 10 minutes away from downtown Wolfeboro by boat or car. Wolfeboro is the oldest resort town in America and has numerous restaurants, specialty shops with many sitting right on the shores of Lake Winnipesaukee. The home is currently offered at $2,100,000. Property is listed by Roy Sanborn of Four Seasons Sotheby's International Realty. If you would like tour this great property please contact Brian Neidhardt of Four Seasons Sotheby's International Realty at 603-738-3798 or Ruth Neidhardt at 603-455-0176. Property listed by Roy Sanborn. 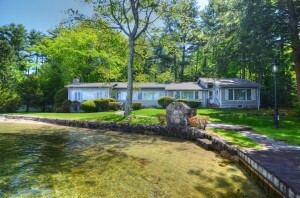 To see additional properties available on Lake Winnipesaukee please visit www.nhlakesproperty.com . To sign up for listing alerts to know when new properties come on the market click here! various works of art are being displayed for everyone to enjoy. The first pieces were installed by the Greater Meredith program. The first works of art were installed in early June, with 13 pieces now on display. If the program stays on course there will be 24 sculptures in very visible locations including Mill Falls, Main Street along with Hesky and Scenic parks. The artists participating were jury selected and their pieces will be on display for up to two years, being replaced on a rotating basis each year. A Greater Meredith Program "jury" chose the art work to ensure that the work was not controversial and didn't have any sharp edges for safety reasons. Each sculpture will have a plaque that includes the name of the sculpture along with the artist's name and contact information. Walking maps and brochures will be made available soon and be found throughout Meredith at local shops, Town Hall, Chamber of Commerce and Mill Falls. The opening ceremony and walk is planned for July 28th.